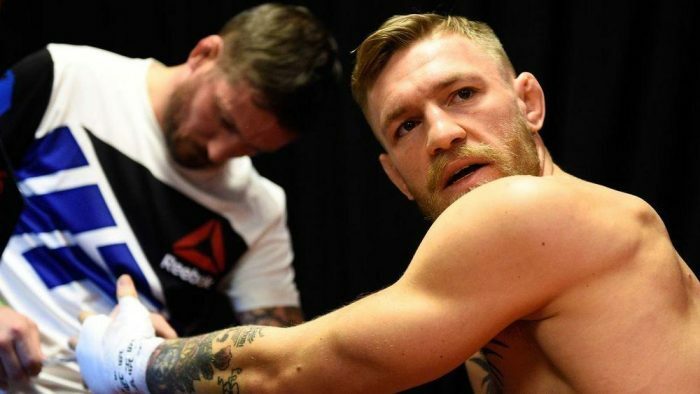 Coach John Kavanagh says his relationship with Conor McGregor is a solid as ever before but that he will take some convincing to be in his corner should he return to the Octagon. Kavanagh has been keeping busy cornering SBG fighters all over the world since McGregor’s loss to Khabib Nurmagomedov in October, but hasn’t shied away from talking about the Irishman’s loss at UFC 229. Speaking to the Irish Independent this week, Kavanagh was asked for an update on McGregor and whether UFC fans will see him return to the UFC Octagon anytime soon. “Honestly? I don’t know. Will he fight again? I don’t know,” Kavanagh told Paul Kimmage this weekend. “I know him as a person and know that coming off two losses – even though one was boxing – will be hard for him. But he’s 30, two kids, and has a big whiskey deal that’s making him more money than fighting ever did. Should McGregor actually want to continue his fighting career, Kavanagh says he will only continue to be in his corner should be fighting under specific circumstances. At this point in his career, Kavanagh implied that he only wants to be part of fights are significant to building McGregor’s legacy and not just throwaway fights that don’t mean anything.